← Reproduction Curved Crown Moldings, for Queen Anne Residence. 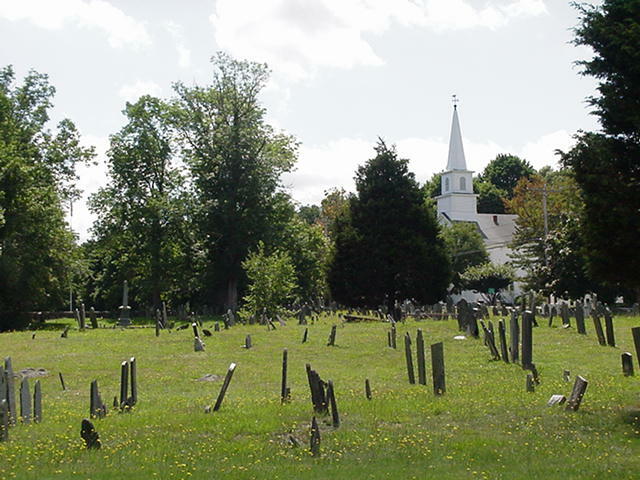 The burial ground, Plympton center, in a district listed in the National Register of Historic Places. Agricola Corporation of Chicopee, Massachusetts documented numerous buildings and sites in Plympton Center in order to secure its nomination to the National Register of Historic Places. This nomination is recognition of the importance of the district to the history of the whole nation. Paradoxically, however, this recognition is less restrictive, and less protective, than a locally established historic district, which carries the force of local zoning. Being on the National Register in fact offers no protection to the building should an owner decide to sell or modify a structure with private funds. Such protection is left up to local historic commissions to enforce, or not, as they choose. That said, National Register listing does offer protection from damage from government funded projects. It also offers Federal tax incentives for some owners and confers eligibility for some matching state grants. Other than that, it is most notable for the honor. It is the local Historic Commissions who are most empowered to limit change or require historic compliance for owners and builders. Agricola Corporation is a Member of the Guild of Building Artisans.